It is a treat to get to see Jet Li films in the cinema. I can remember when martial films (before Crouching Tiger) seemed to go straight to video, with badly dubbed/poorly subtitled versions, the basis of many fan’s collections. With the likes of Tarantino pushing the genre on the public, we can now see releases every month and I welcome that, even if this particular film is not the greatest example. The latest from Jet Li is a film of two halves, both of which seem to run concurrently. The weakness with “unleashed” is its’ desire to keep the action fan happy and produce genuine drama from the heavy weight casting of Morgan Freeman. The film doesn’t have quite enough violence to be a chop socky, and has too much compassionate drama which at times seems out of place. Admittedly when the violence explodes the choreography is as wonderful as we would expect from Master Woo Ping, yet the drama as in many of Luc Besson’s films is handled unsubtly. Jet Li plays an abandoned kung fu prodigy who is adopted as an infant by debt collector Bart (Bob Hoskins). If a debtor won't pay, Danny's collar comes off and all hell breaks loose. The film slowly relays the truth of Danny’s past as we reach the obvious ending. I will admit that for the majority of the time the film is enjoyable, with Jet Li acting intensely without having much to say. Bob Hoskins gleefully parodies his former screen self with much aplomb, and is still one of the few actors whose menace does not diminish with age. I like the film as it is unique, but it does play safe. 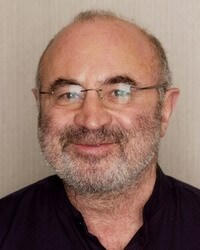 I would have Bob Hoskins play the kindly blind mentor to Jet Li and have Morgan Freeman hamming it up as the truly evil gangster who has found home in the wonderfully Grey, Glasgow backdrop.